The TySOM™ Embedded Development Kit is for the embedded designers who need a high-performance RTL simulator/debugger for their embedded applications such as IoT, Automotive, Factory automation, UAV and Robotics. 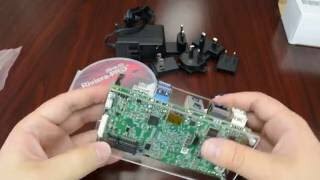 The kit includes Riviera-PRO™ Advanced Verification Platform and a TySOM development/prototyping board. TySOM boards come with either a Zynq 7000 chip (FPGA + Dual ARM® Cortex™-A9) or with a Zynq® UltraScale+™ MPSoC device. These boards include memories, and various communication and multimedia interfaces in addition to FMC connectors for peripheral expansion. Reference designs for application such as IoT, ADAS, 4K UltraHD imaging and Robotics and a complete reference design, which contains the SW (Linux) and all the hardware blocks required to support the peripherals on the board, are provided. High-Performance RTL Simulator for developing complex Zynq-based systems. Riviera-PRO incorporates industry-leading simulation optimization algorithms to achieve the highest performance in mixed-language simulations for VHDL/Verilog. Having the HW/SW co-verification solution for Zynq device, Riviera-PRO enables Zynq users to verify the complex Zynq-based systems before any synthesis and prototyping. Moreover, it contains Dataflow, Post-Simulation Debug, Advanced Waveform Viewer, Plot/Image Viewer, Xtrace and Code Coverage. TySOM Embedded Development/Prototyping Boards containing either Zynq 7000 or Zynq® UltraScale+™ MPSoC cores for embedded designers developing complex systems with custom RTL and embedded applications. TySOM boards include Memories and various Communication and Multimedia interfaces. 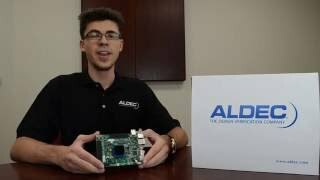 In addition to the mainboards, Aldec manufactures FMC daughter boards for various applications such as IoT, ADAS, Vision, Industrial, Networking, Data transferring and serial connectivity. Contains Xilinx® Vivado™ design, HLx edition 1-year License for XC7Z045 and XC7Z100 devices. Moreover, this package contains SDSoC Development Environment, 1-year device-locked license. Zynq-based hardware designs are created in Vivado and simulated in Riviera-PRO as the target simulator in Vivado. Software applications created in SDK are executed on the TySOM board as bare-metal or Linux-based applications. Then, the entire Zynq design can be verified in Riviera-PRO using Aldec HW/SW co-verification solution. Aldec provides various reference designs including, but not limited to ADAS, IIoT, Image Processing as well as the technical support on each board. Moreover, Aldec provides Linux based Operating Systems for TySOM Embedded Development boards. Following Bullets are some of the main categories that we provide the reference designs. A stock version of Ubuntu Desktop Operating System with additional packages from Linaro. It supports all standard interfaces such as: USB, HDMI, Ethernet, WiFi, Audio IN/OUT. Yocto project provides all necessary functions and scripts to build a custom Linux Operating system. The Petalinux provides all necessary tools to build a custom operating system for Embedded solutions for board with Xilinx Zynq chips. The VxWorks is an industry’s real-time operating system which provides a set of very important features such as: safety and security. The most popular, free real-time operating system for embedded devices. The OpenWrt is a GNU/Linux distribution for embedded devices such as wireless routers. It is built to be easily modifiable operating system for routers.